Appreciate the gift of a new day, make it count as time is of essence and every minute is a blessing. Good Morning to you, take every challenge and turn it to Victory. Good Morning. 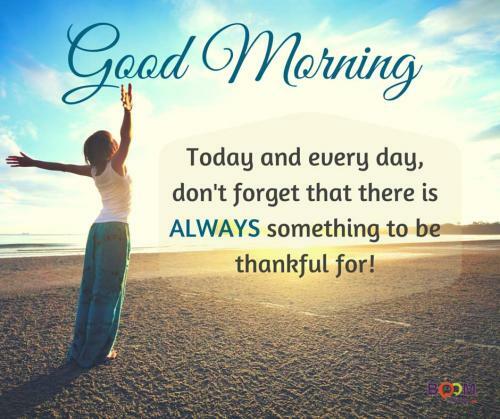 Today and every day, don't forget that there is always something to be thankful for! Dawn has come to bring us the gift of today, how we use this new day is going to be a miracle for you to achieve, find your Purpose and unleash your treasures Life is the greatest gift we could ever receive. 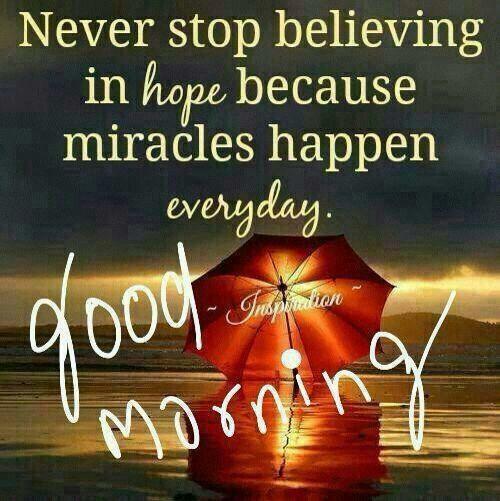 A new and blessed day all made and prepared by God. 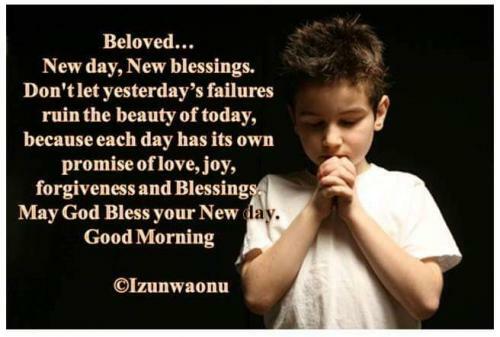 Be sure to enjoy the great blessings of the day. Good Morning. I will not let the little clouds of today to completely stand in the way of my Sunshine today. 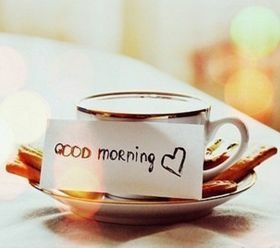 Good morning is a term used to welcome or to greet someone in the hours before noon of each day. Good morning is a salutation, or an expression of good will, and in its literal sense means to wish one a good beginning of their day. The morning period of each day usually consists of a person waking up, preparing for their day, and then actively starting and pursuing their day. So to wish someone a good morning would be to wish them a “Good luck” of sorts in their endeavors for the day. Good morning is a salutation that has been used for centuries on end in the English language. It is also a salutation that is expressed in many other languages as well including but not limited to Spanish, Russian, German, French, and many others. Wishing someone a good morning is seen as a polite greeting, and can help brighten anyone’s day if it said with a small bit of meaning, and a smile.